Basinview Lodging will help you plan the perfect Northern Utah vacation to Powder Mountain & Snowbasin Ski Resorts. We provide families with summer fun and abundant activities that include shopping and dining at some of Northern Utahs best restaurants. We can help you make your visit the absolute best it can be. 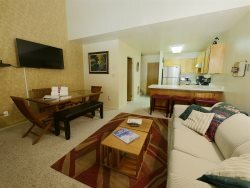 We have a great variety of vacation rentals in the Ogden Valley area. We provide skiing enthusiasts with great ski vacations, condo rentals, accommodations, Powder Mountain vacation home rentals and personalized trip planning to Ogden Valley. Let us show you how to make the most of your trip here. Where else can you find such awesome views with snow as fresh and as deep as you could ask for? Whether you prefer skiing or snowboarding, our friendly and helpful staff are just waiting to make your vacation special. We can also provide Powder Mountain & Snowbasin discount lift tickets with your booking or discount lodging package. For local Real Estate info click here. Purchase a Home, Condo or Townhome in Ogden Valley, this is a great investment opportunity for a second home. The local communities are Huntsville, Eden, Liberty & Mountain Green on the other side of Trappers Loop. Be sure to bookmark our site as a favorite. You will want to come back again in the summer once you've experienced our fantastic winter. The summers here are beautiful, and are possibly our best kept secret! There are plenty of winter activities that the traveler's can participate in, and we can help you with advice, information and bookings. Call us at 1-877-686-4733 or email [email protected] to help you plan your next Ogden Valley Getaway, and make this an experience to remember.